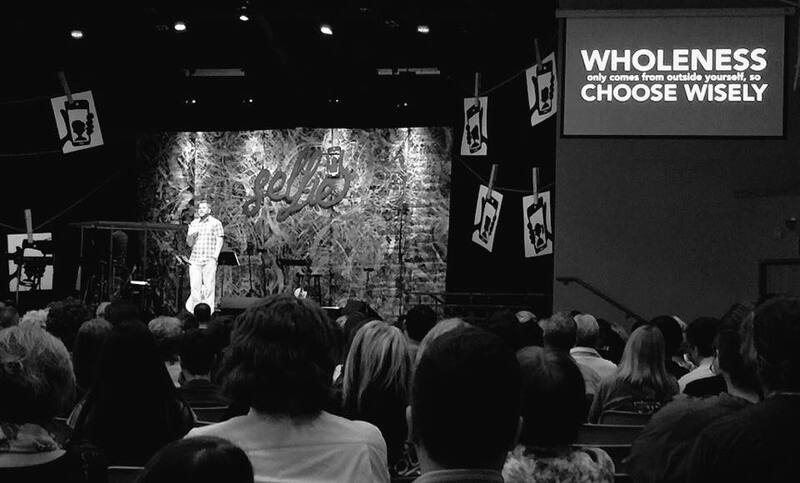 We leave the church building inspired and filled with Truth and encouragement each Sunday … and somewhere along the course of the week, often we find ourselves in need of a little bit of something to help us through. 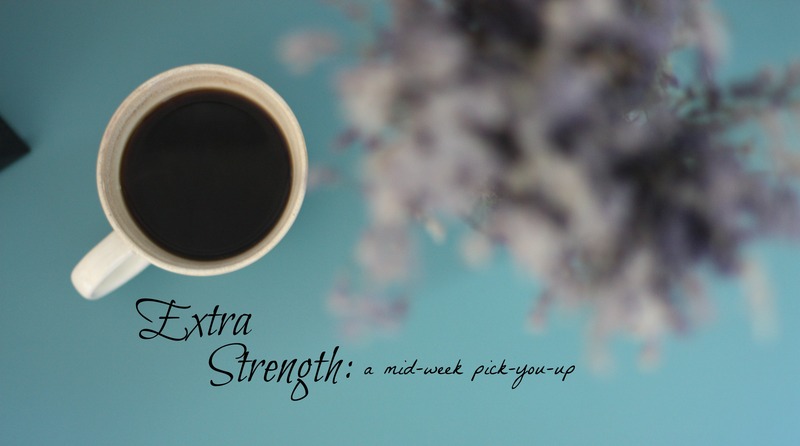 Welcome to Extra Strength: a mid-week pick-you-up for the soul. Be sure to scroll all the way to the bottom for extra encouragement and challenge. By all standards, my life feels pretty full. Our family calendar, although now a more-tamed beast than in years past, lends evidence to its fullness. I call much of what makes up the fullness of my life blessings. The family I love. The hobbies I enjoy. The job at which I work. The friends with whom I commune. The home in which I live. The food we eat. The passions that burn brightly in my soul. Each is a gift, a blessing to me. But there’s a problem when the blessings, the fullness of life is mistaken for a wholeness, a completeness in our souls. And I think we’re often deceived into thinking just the opposite — that the fullness of a life can complete us, that the fullness of a life can make us whole. And when fullness leads into inevitable busyness? Well, I think we’re often left aching and limping our way through these lives chocked full of blessings. Add to that the busyness of going from one thing to the next in the fullness of life, that often we don’t even realize that we’re trying to fill a hole … we often don’t even see depths and width of that hole. But there are signs everywhere of that hole we’re trying to fill. We fill the holes in our homes with more treasures than what our bank accounts can account for. We fill the holes in our schedules with serving and helping and feel exhausted just looking at our packed calendars. We struggle to make the button meet the hole of our jeans after too many handfuls of snacks. When we finally recognize the holes, we stare at the gaping spaces in our lives, shake our heads and wonder why we can’t get it together … Wonder why there is so little within our easy reach to fill the holes that seem to only grow wider and wider. We are full, yes and yet, we are aching for wholeness. We look for it in the desserts we eat and the gadgets to which we upgrade and the drinks in which we drown our sorrows and the service we extend in the overextension of ourselves. And yet we still ache so we go back and do it all again, mistaking fullness for wholeness over and over. We buy the lie time after time. The first step in trying to remedy a problem is admitting there is, indeed, a problem, and my very problem is summed up quite easily in admitting that all of my attempts to make me whole haven’t ever completed that aching empty in the depths of my soul. I can’t eat, shop, serve, create, perfect myself into wholeness. And the second step? It’s replacing the lie with truth. When I am tempted to try and eat myself into wholeness, I can choose instead to feast on truth: Jesus is the bread of life. When I am lured into trying to perfect my way into wholeness, I can choose to recall that His grace is sufficient for me. When I am desiring for someone to assign me worth with their words, I can choose to remember that God so loved *me* that He sent His only son to give me life. As we walk into the fullness of a new day, let’s not buy the lie that fullness is wholeness. Let’s not fill the holes with more stuff. Let’s instead fill it with Truth. Hyacynth Worth is beloved to God, wife to John, mom to two boys and author of Undercover Mother. She also works as the Online Communications Coordinator for Immanuel Church. Remember and declare that you are #wholeinone! Hy, this is probably my favorite post I’ve ever read from you! I am so grateful for how you compared fullness/busyness to wholeness and how they aren’t the same and how the solution isn’t trying harder, eating less, serving more, etc. but by reminding ourselves to live into the truth of the Gospel! Thanks so much for being God’s mouthpiece to me today!